The Douglas F. Cooley Memorial Art Gallery is proud to present over 140 original Civil War era drawings from the Becker Collection at Boston College. 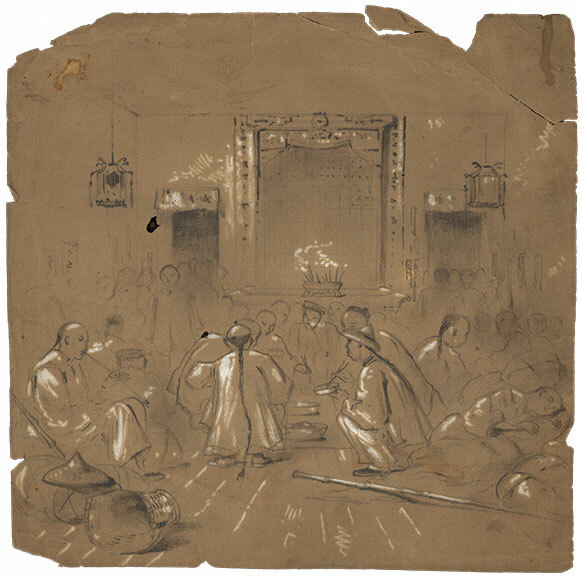 The Becker Collection contains over 600 hitherto unexhibited and undocumented drawings by American artist Joseph Becker (1841–1910) and his colleagues, 19th-century artists who worked as artist-reporters for Frank Leslie’s Illustrated Newspaper during the Civil War. 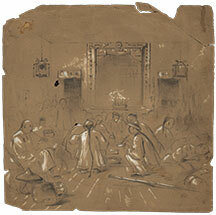 Artist-reporters were charged with observing, drawing, and sending back for publication images of the battles, troop movements, and daily activities of the era. Completed in the field, their drawings were couriered to Leslie’s offices, where they were transformed into wood engravings, then cast as metal plates and printed. 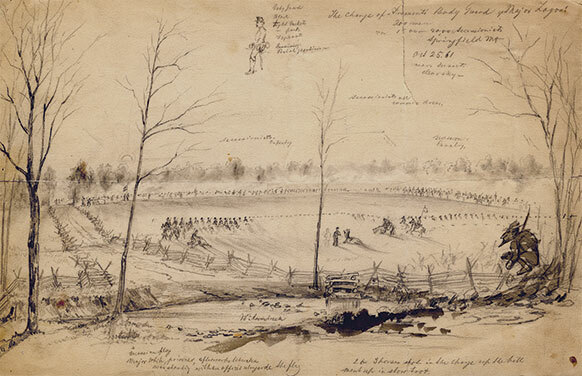 At times, it took as little as three days for drawings to make their way from the battlefield into Leslie’s pages. The exhibition runs through April 20. See more at Cooley Gallery.